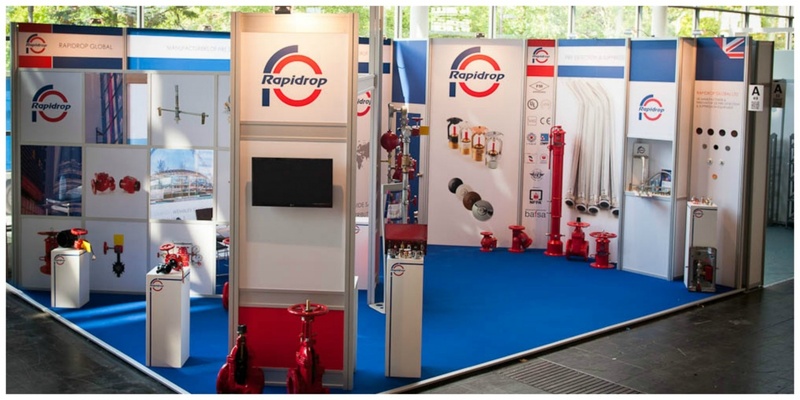 Rapidrop Global Limited a UK based manufacturer of fire sprinkler systems contacted us to discuss their design brief for a self-build custom exhibition stand. 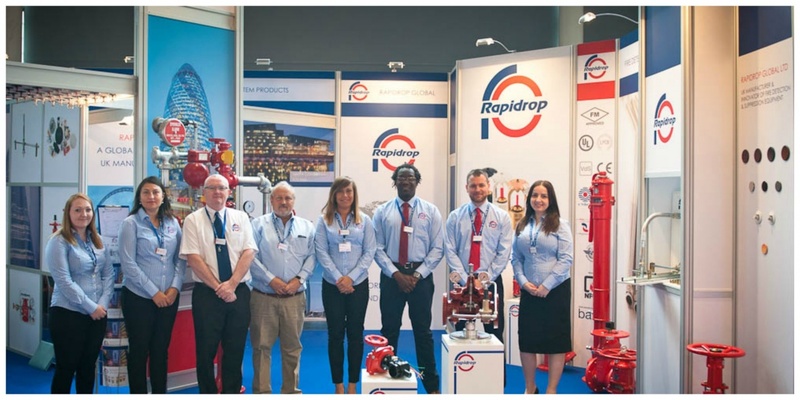 Their first show was to be at Interschutz in Hanover, June 2015. 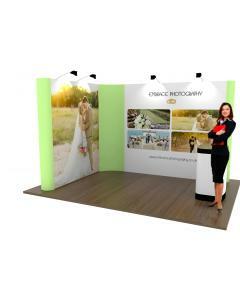 The floor space that had been booked would accommodate a 7 x 5 metre exhibition stand and the customer required a partially secluded meeting space, storage facilities, custom product display demos, various graphic areas and a large wall area to host a striking large format print. 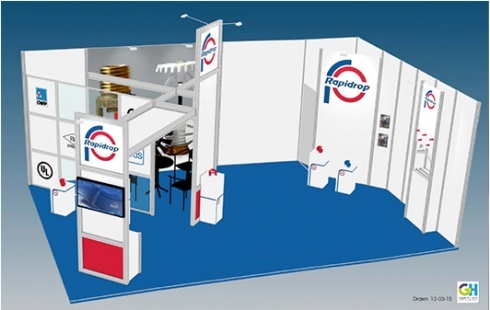 Critical to the design was the desire for the resourceful chaps at Rapidrop to transport and install their own exhibition stand from the UK to Hanover. The customer was clear that though the construction would need to be relatively straightforward and not require onsite modifications, they did not want to compromise on the finished aesthetics. The 7 x 5 metre stand we designed was a aluminum framed construction comprising of beams, posts and vertical framework, which could be assembled by the customer using a single tool. The angled meeting area and storage facilities created an interesting floor space and the custom made product demonstration unit and integrated displays helped showcase the high quality product range. 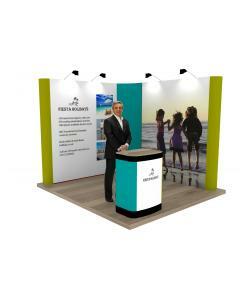 The stand included a large format fabric print that created a central focus and an impressive backdrop for their client meetings and sales discussions. Custom podiums were designed and built at varying heights to provide interesting focal points around the stand. 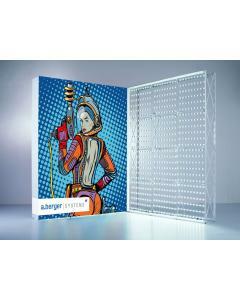 The custom exhibition stand looked fantastic. 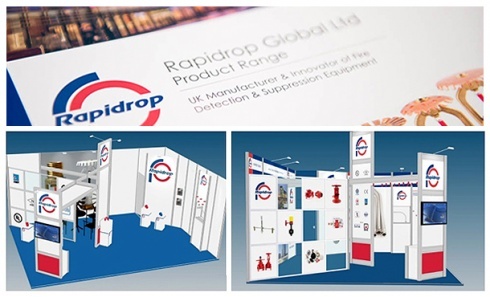 We spent a couple of days with the Rapidrop team, demonstrating its construction and how to unpack and repack the stand into the bespoke travel cases we supplied. 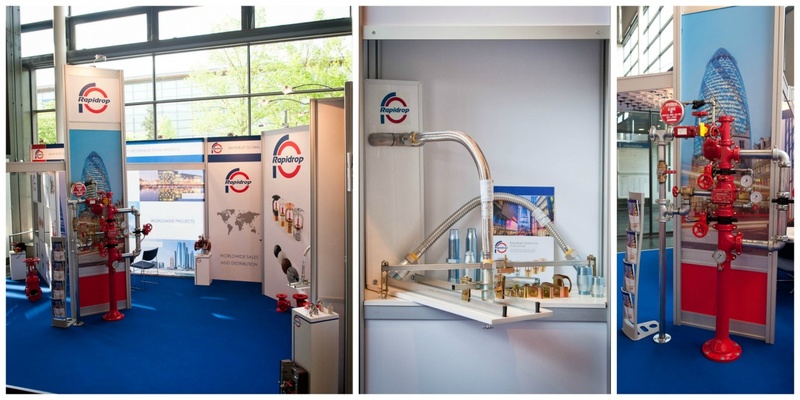 This stand was designed as a self-build custom exhibition stand, so it was vital that we gave the customer as much support as possible prior to them leaving for the exhibition. 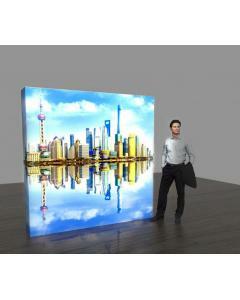 The customer contacted us during and soon after the show and provided the following feedback. 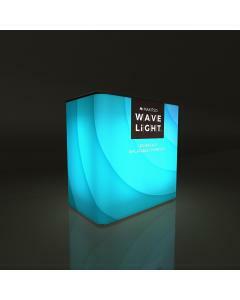 I would like to thank you and the team at GH Display for the amazing stand you designed and provided us. 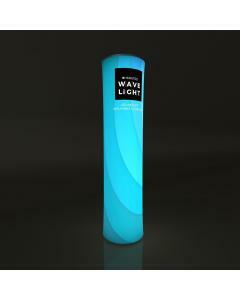 We had an excellent show and the response has been amazing amongst our team, suppliers and customers. Thank you for the time you spent with us on the design and being patient with us with the changes we kept making, even at the last minute. 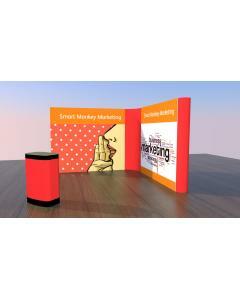 You completely fulfilled the brief which was to create a stand that had the WOW factor, easy to build, reusable and of course within budget. 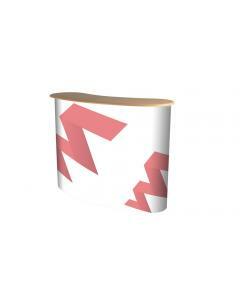 We chose GH Display for your knowledge and enthusiasm for exhibition display and construction and you gave us 100% from the start to finish. I would like to thank you for the ongoing support even whilst we were constructing the stand, the 24 hour hotline was invaluable. I really don’t think we would have got this level of support from anywhere else. Your team have been fantastic throughout, friendly and very helpful, and we look forward to using GH Display again very soon.